East Coast Poured Floors, Inc. is a five star applicator of USG LevelRock Floor Underlayment and Laticrete SuperCap in the Baltimore/DC Metro and Orlando, FL marketplaces. As the premier installer, we specialize in institutional, commercial, and multi-family projects. We offer a wide variety of sound control solutions including LevelRock SRM and SAM products. As a specialist in the floor underlayment business, we also offer lines of revolutionary, fast setting, lightweight cements for concrete topping that can accept finish floor goods in 16 hours after installation. When needed, ECPF provides its own surface preparation crews, who can handle all shot-blasting, hand-grinding, scarifying, and planing, making it a true turnkey subcontractor. Utilizing specialty technology, ECPF provides floor surveying to our customers, and engineering to meet any tolerance while attempting to reduce cost. 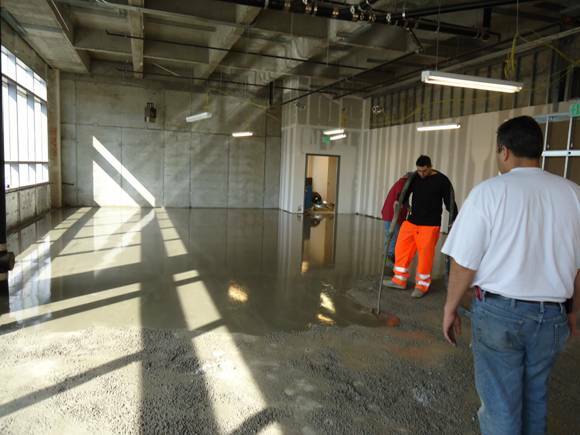 East Coast Poured Floors, Inc. prides itself on being a full-system solution-based partner to our customers. We are able to identify the challenges of different projects and come up with solutions that best fit the job and our customers. Unlike other applicators in the area, we are able to accomplish this from the outside of the building and pump as high as 50 stories vertical. This means no dust or trash in the building, and we are able to accomplish in one day what other companies will spend weeks completing. We accept 100% responsibility for our products / services and stand by our motto, “We Own The Floor”. This means that if a problem arises we will correct it and reach the spec that was originally agreed upon in the contract. We follow industry-standard quality assurance policies and procedures at all times. We comply with all applicable construction codes, regulations, safety requirements, and good workmanship practices. We fulfill contract requirements in their entirety. All crews work under the direction of qualified foremen. Qualified supervisors perform all inspections. We are continually on the lookout for prevention of defects. We use only approved materials and construction procedures. We ensure that materials and equipment are in good condition. JW & Sons, Inc., our parent company, is a drywall subcontractor who focuses on single-family, multi-family, light-commercial, and renovation work. USG produces state-of-the-art gypsum cements and sound control products designed for wood-frame construction, as well as a variety of other applications (radiant heat, concrete, metal decking). Laticrete Supercap, a leader in the cementitious commercial floor leveling industry, utilizes the power of the Pump Truck and is able to provide GCs/Owners with industry leading full-system warranties up to 25 years. 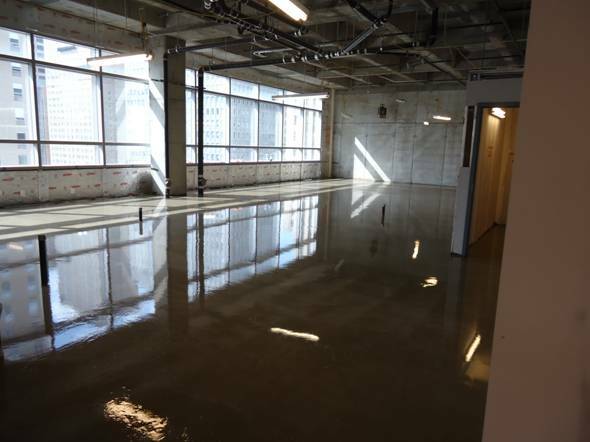 East Coast Poured Floors, Inc. is a five star applicator of USG LevelRock Floor Underlayment and Laticrete SuperCap in the Baltimore/DC Metro and Orlando, FL marketplaces. As the premier installer, we specialize in institutional, commercial, and multi-family projects. We offer a wide variety of sound control solutions including LevelRock SRM and SAM products.